From mountain ranges, active volcanoes and rugged coastlines, to glaciers, lush rainforests and snow-capped mountains. New Zealand offers some of the world’s most beautiful and varied landscapes you could ever wish to explore. The country is comprised of 27 regions spanning two main islands; the North and South Island. 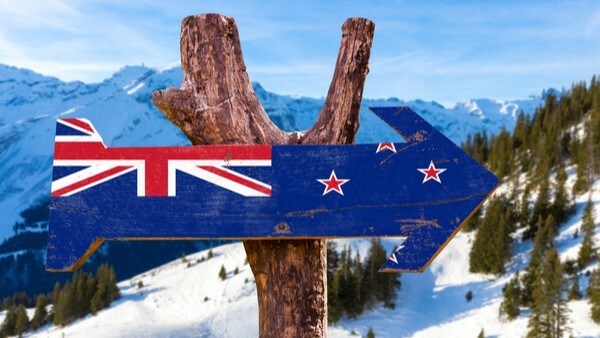 To help you arrange the perfect trip to New Zealand, listed below are some of the nations top monuments and landmarks which are all accessible by private jet or yacht. After all, New Zealand wasn’t selected as the iconic setting for mega-franchise “The Lord of the Rings” for nothing. 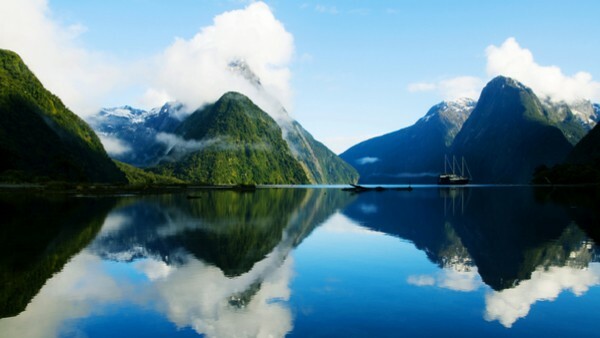 Milford Sound is one of New Zealand’s most famous attractions, it offers spectacular coastal views like no other. Located atop the most accessible northerly point of Fiordland National Park, Milford Sound is littered with majestic peaks and navy-blue waters. You can marvel at natural waterfalls and sheer rock faces that tower above you as you sail by. If you’re looking to explore New Zealand’s unchartered territories, then this picturesque haven is perfect. Since 1880 Rotorua has been widely known as New Zealand’s thermal wonderland. Thermal springs, mud pools and geysers bring travellers from far and wide who bask in these natural wonders. A journey followed by a visit to Wai-O-Tapu, where more natural hot springs are nestled into the region’s color and sulphur-rich setting. Rotorua is unparalleled when it comes to the world’s natural thermal springs, a must-see for the flashpacker. 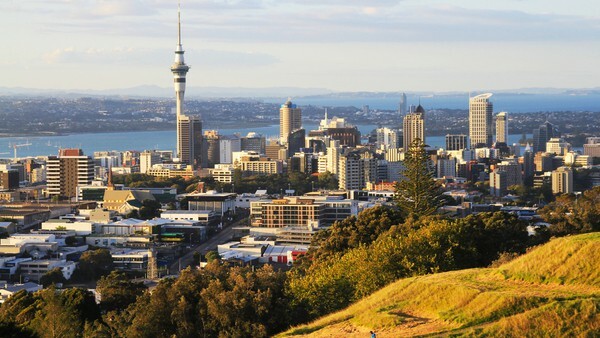 Known as the ‘City of Sails’, Auckland is New Zealand’s largest and most populated city. Sitting on the North Island, this cultural hotspot is a foodie and viewpoint hunter’s dream. Climb Auckland Harbor Bridge and scale Auckland Sky Tower for the best views of this stunning metropolis. Be sure to head down to Auckland Domain, this City’s oldest district where culture and art are rife. In particular, Auckland War Museum, home to many of the nation’s treasures, including exhibits of Maori and Pacific Island artifacts. Auckland is the perfect place to start your journey of New Zealand’s top monuments. Air Charter Service provide a bespoke private jet charter service from all around the world, ensuring your trip gets off to the most luxurious and stress-free start possible. Charter a private jet to New Zealand with Air Charter Service to this incredible area of the world. Located on the western coast of New Zealand’s South Island, Glacier Country’s jewel is Westland National Park. Visit Franz Josef Glacier and trek up and through Fox Glacier valley – one of the world’s most accessible glaciers. Guided tours provide a closer look at this winter wonderland after which you can relax in the incredible glacier hot pools and soak up miles upon miles of snow desert. Made up of 144 islands, sandy beaches and secluded bays, the Bay of Islands is home to a host of aquatic life including whales, dolphins, penguins and the big marlin. 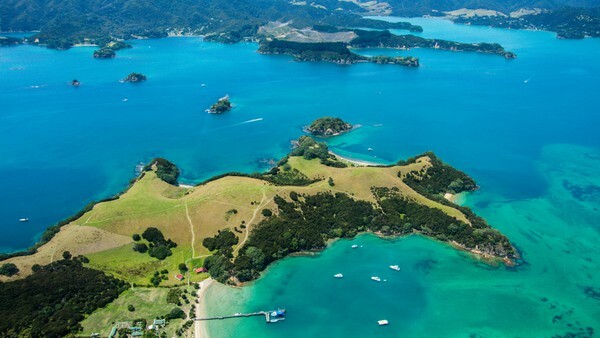 If you are a diving enthusiast, fishing lover or sailing aficionado, the Bay of Islands is perfect for you. A destination of choice for many international fisherman, sporting events and world cruises makes the Bay of Islands a top spot on our list. Queenstown, located on New Zealand’s South Island, is a hub of adrenaline and adventure for all you thrillseekers. Enclosed by the magnificent peaks of the Southern Alps and fringed by aqua-blue Lake Wakatipu, Queenstown is one of New Zealand’s most idyllic spots. Cycle, hike and cruise this unique terrain before enjoying the delights of Queenstown’s central area including its many bars, restaurants and shopping. Tongariro National Park is New Zealand’s oldest national park and home to the famed Tongariro Alpine Crossing, a 19 km hike through the scrubland. The locations of a unique ecosystem that includes stunning lakes, once-active volcanoes, wild forests and desert-like plateaus means this landscape and region is known for its extremes and surprises. The only place on earth where such contrasting weather systems encroach one another. The third-largest island belonging to New Zealand, Stewart Island, can be found further south than the main South Island. 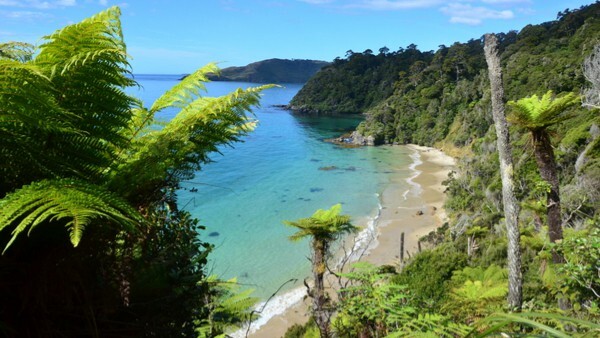 With 80% of the island’s undeveloped forested land belonging to Rakiura National Park, Stewart Island offers visitors the chance to explore one of the world’s few remaining wildernesses. Participate in the Island’s popular Northwest Circuit, a 7-day trek that challenges even the finest hikers. The views and wildlife on offer makes the challenging journey totally worthwhile. Brimming with art and adventure, Christchurch makes our list of must-see destinations for many of its landmarks. Affectionately known as ‘The Garden City’, Christchurch is an oasis scattered with dramatic vistas and lofty peaks. A short one hour drive from Christchurch sits Washpen Falls, a breathtaking waterfall nestled in the midst of a fully-fledged cattle farm. This ancient volcanic canyon turned natural waterfall is only one of five waterfalls scattered across Christchurch. We recommend visiting all five of Christchurch’s waterfalls if you can. New Zealand is undoubtedly one of the most spectacular places on earth. It’s incredibly diverse ecosystems, preserved scenery, outdoor living and adventure, unique wildlife, local culture, and varied climate makes it one of the few countries on earth where you can go sailing, skiing and hiking in the sun all year round. Check out Air Charter Services’ New Zealand travel guide for some more travelling hotspots, and contact Air Charter Service to charter a private jet to New Zealand for the adventure of a lifetime. Wow! What a great list of monuments. I really want to go and explore all the landmarks. So stunning pictures you captured in your post. Thank you so much for sharing it. Keep posting..
New Zealand is so amazing place and it have so many good things to enjoy. Natural things are always best to enjoy here. Islands are best to visit here and these are the best to see in New Zealand. Awesome photos you shared of that beautiful place. Wow! really a very cool stuff that you have shared thanks for sharing this post. I am totally agree with you that Auckland in New Zealand is the largest and most populated city around the world. In North island there cultural hotspot is a foodie and veiwpoints dream. In fact i love this city because its nature charmed me most. I really want to go to New Zealand now! Hiking is one of my favorite things to do when I’m traveling. your post is really great for me. Thanks for sharing a wonderful list of monuments in New Zealand. These are really very nice photographs that you have shared. Keep taking photos and writing I always look forward to reading all about your adventures on your blog. New Zealand seems a great place to explore, I have heard about it very much. Thanks for sharing this post.